I am in the process of changing Peyton’s room up. She’s over the character bedding and wants to have a big girls room. I think adding an alarm clock is part of having a big kid room. I know I will be the one responsible for setting it and double checking to make sure she actually got up, but it’s one step closer to her becoming a big kid. My First Alarm Clock is the perfect alarm clock to help with this transition. My First Alarm Clock is perfect for little kids or big kids. Peyton is 6 and I bet she could’ve started to use this clock years ago. My favorite feature of this clock is the sleeping feature! There is a picture of a kid in bed sleeping or playing outside. When it’s time to sleep the little kid in bed is lit up, when it’s time to be awake the little kid is playing outside. Peyton and I frequently argue about bedtime so I see this as just one more tool to use. There is also a mini nightlight in the clock that helps little ones have that reassurance when it’s bedtime. I know Peyton always sleeps better with a night light. There’s just something about being able to see at night that comforts them. Ever since Peyton has needed to be woken up I like to do it gradually. I usually start out with rubbing her back and then gently telling her it’s time to get up. My First Alarm clock also believes in gently waking the children up too. There are three sounds for the alarm; train, cuckoo or birdsong. I like using the birdsong. The volume of the clock starts out low and increases until the child wakes up! No one likes to be jarred awake and My First Alarm Clock understand that. My First Alarm Clock is also a great way to help kids start learning how to tell time. You have the clock with your minute and second hands. The hours are clearly marked with numbers on the clock and the seconds are marked too with every 5 seconds being represented by a number and the other seconds with a dot. Below the clock is a digital display telling the child the time. 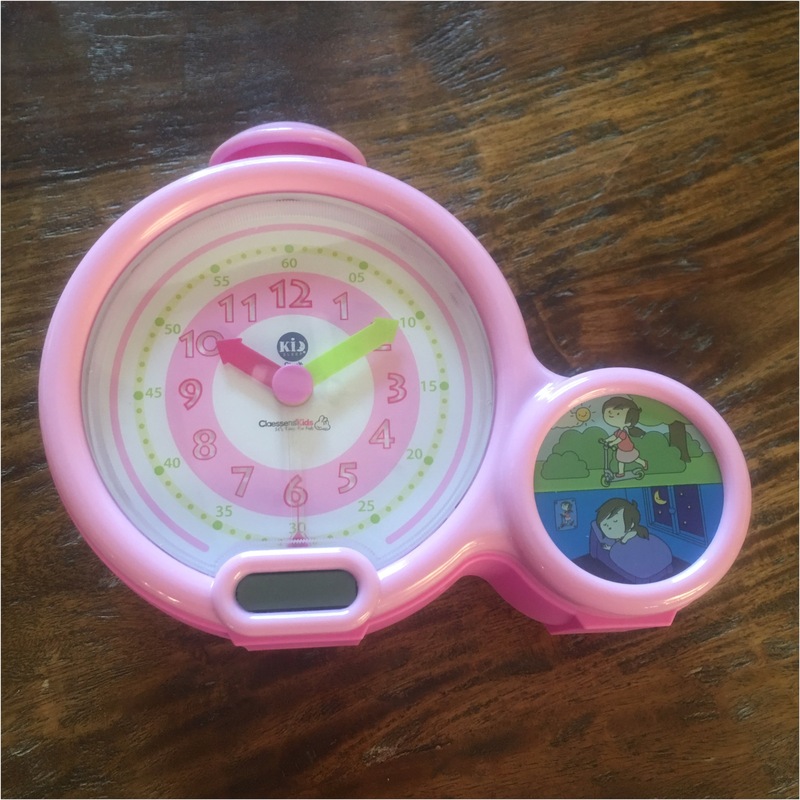 What a great way for little ones to start making the connection to tell time and being able to check to see if they are right on their own. 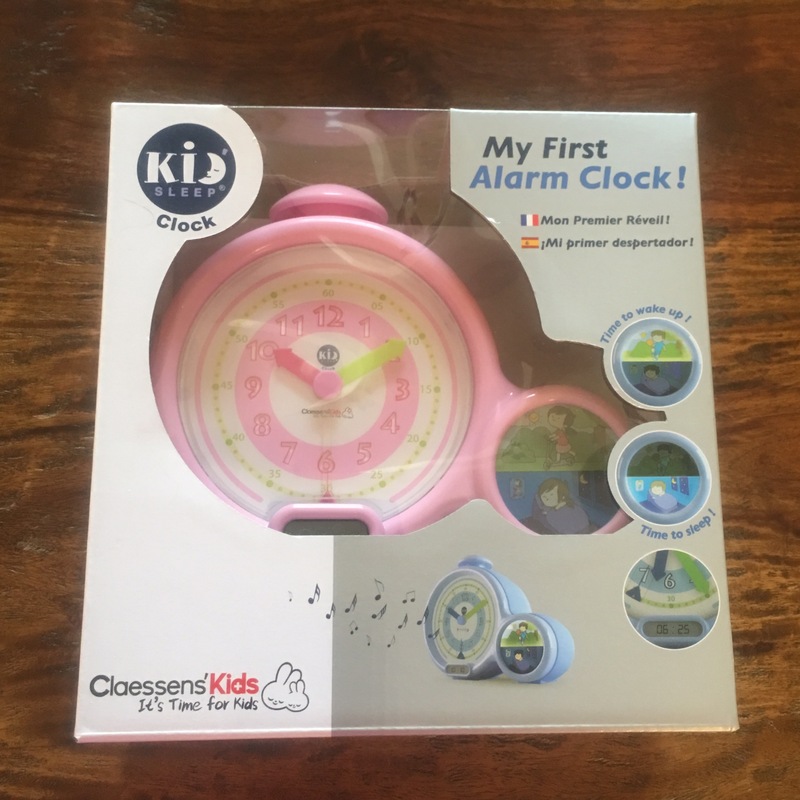 My First Alarm Clock is a wonderful beginner clock for children. It will help give your little one independence, help with sleep training, help with telling time and more.